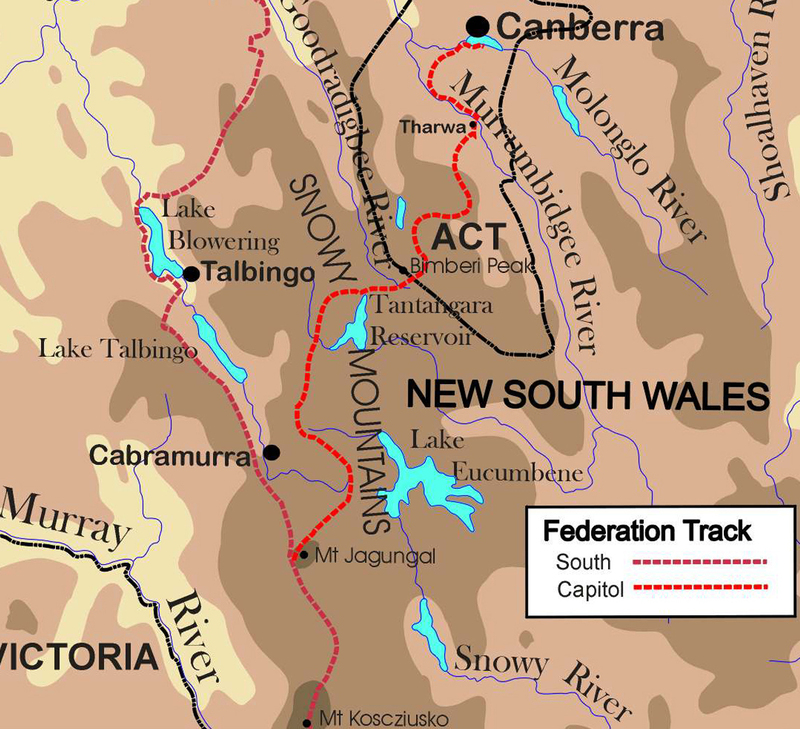 The walking route runs through Namadgi and Kosciuszko National Parks from the Orroral River to Mt Jagungal. There is very little evidence of man apart from the huts that were built before the National Parks were created when these alpine and sub-alpine areas were used for summer grazing. 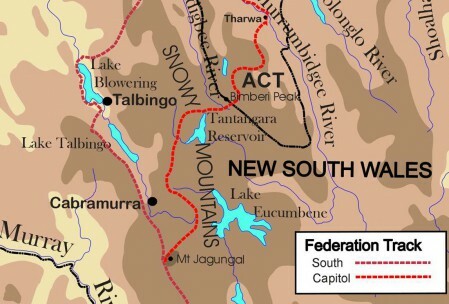 Now huts like Cotter, Oldfields, Pocket, Bill Jones, Hains, Witses are used by summer bushwalkers and winter cross-country skiers as are the old homesteads like Old Courango and Coolamine. A spectacular diversion from the track is Blue Waterholes near Coolamine Homestead. Here, the alpine streams have carved caves and gullies through the limestone rock.